Peerless protection for your freeze-sensitive cargo from the highest-capacity transport heater on the market. Achieves maximum fuel economy by automatically turning the unit on or off based on your flash-loadable programming. Pulls more heat from the engine, transferring it 70% more efficiently and producing 33% more heat capacity for thinner-walled or intermodal containers. 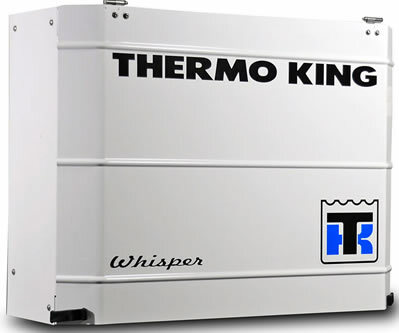 The standard low noise package keeps the Heat King 90% quieter than any other unit in its class. Rated by the Department of Transportation to safely transport flammable liquids and gasses.